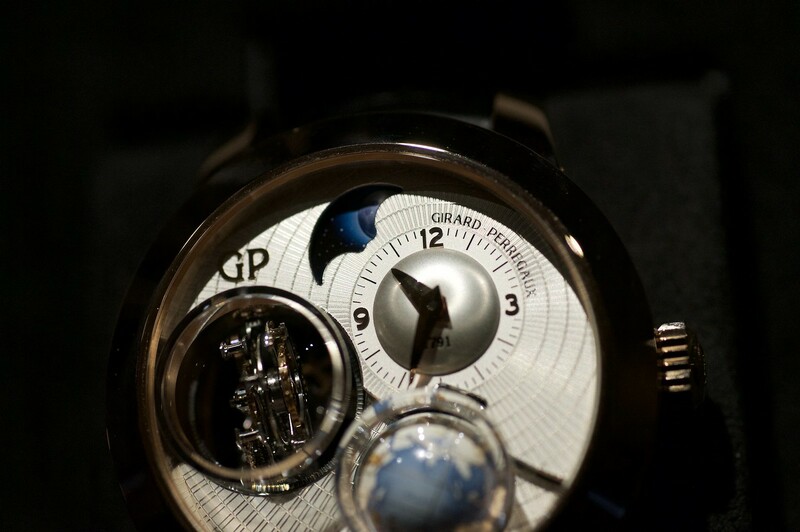 The Girard-Perragaux Planetarium tri-axial tourbillon was voted to the top 6 watches for the mechanical exception category, for the Grand Prix d'Horlogerie Geneve (GPHG) awards. 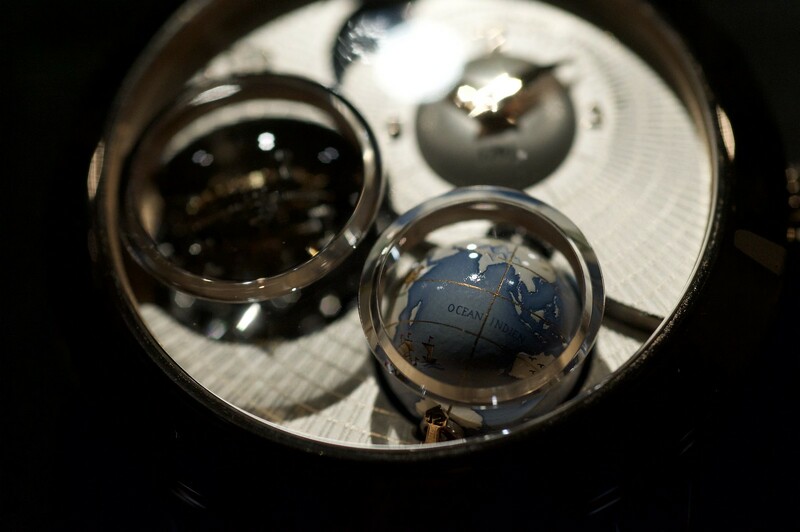 All of the watches that were selected by the jury, are on display at the Art and History museum in Geneva. Since it is not something you see often, if at all. 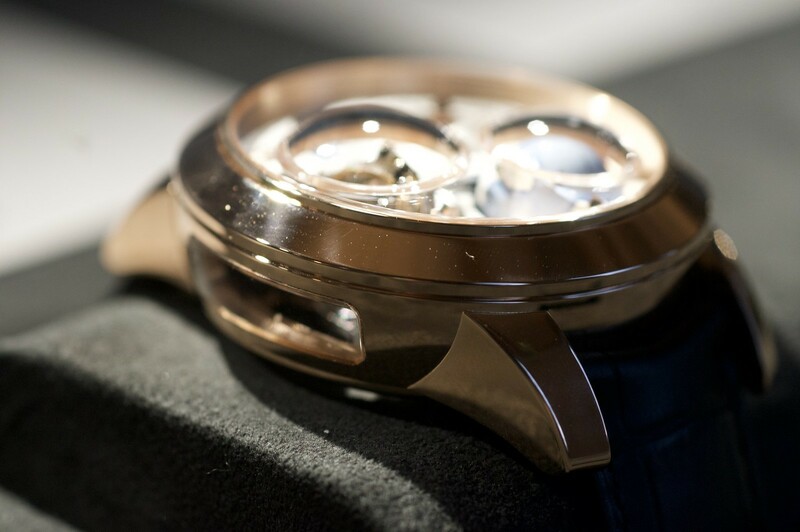 I took a few extra photos of this amazing timepiece, in my rush to get all 72 watches photographed before the show started. As this was a museum I wasn't allowed a flash, so please pardon the shakies and limited focus. 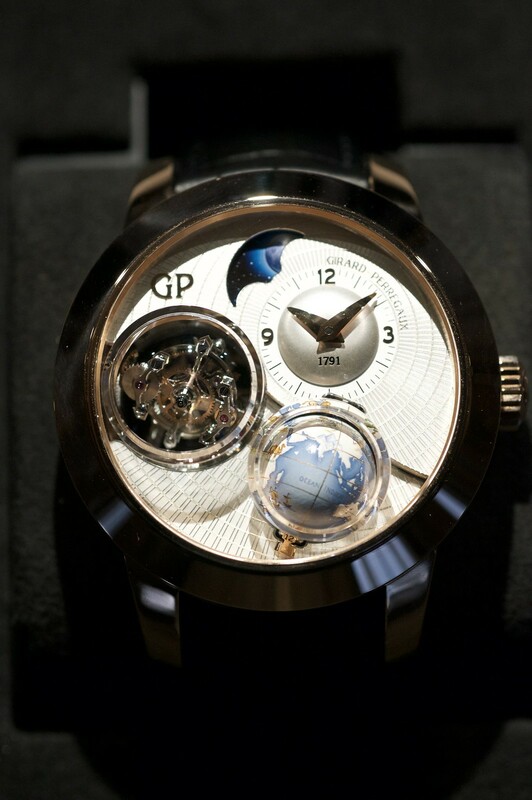 *thanks to the GPHG for not putting the watches behind glass. 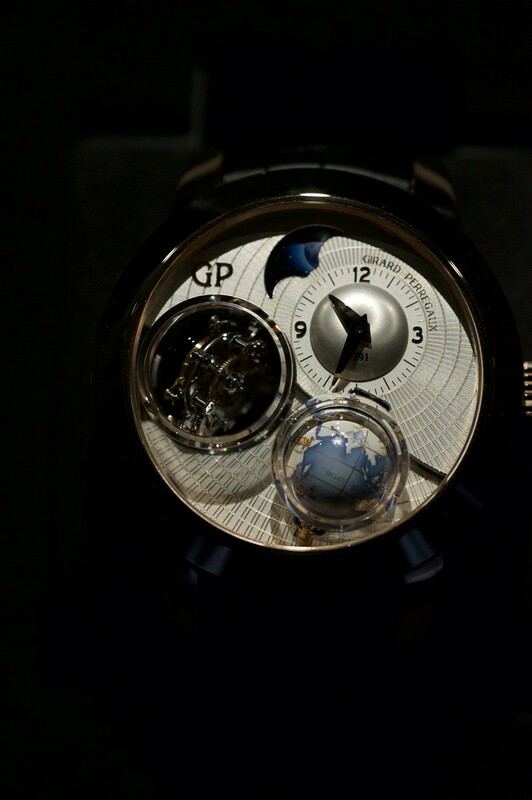 The watch was running you'll notice the tourbillon is always changing it position. As you have probably guessed this is a large watch. 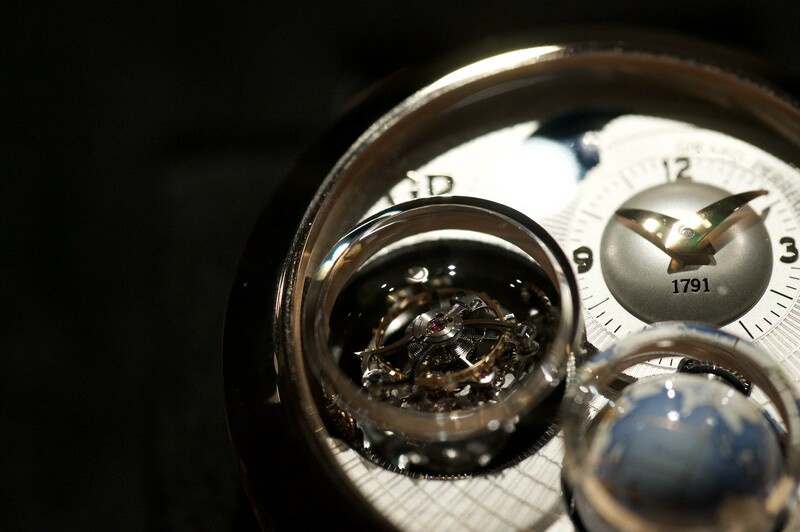 On the case side is a window into the movement to get yet another angles view on the amazing triple axis tourbillon. Gorgeous! 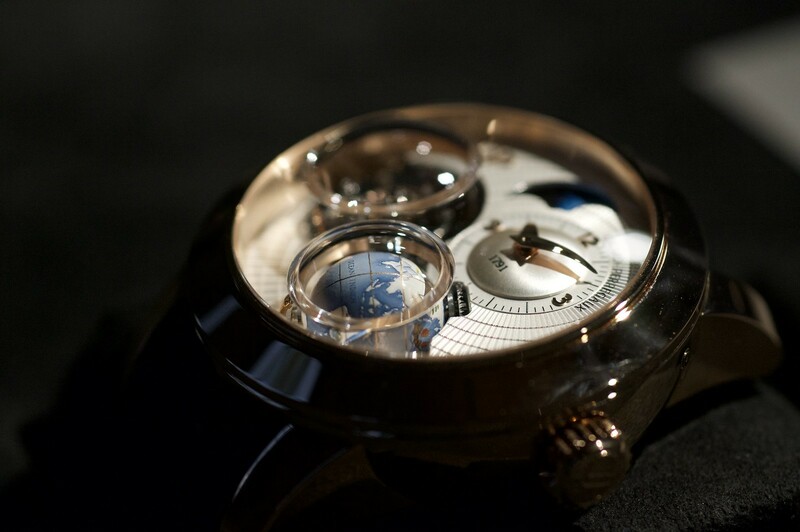 I wish I had hours to photograph this rather than seconds, seems unfair to the watchmakers.